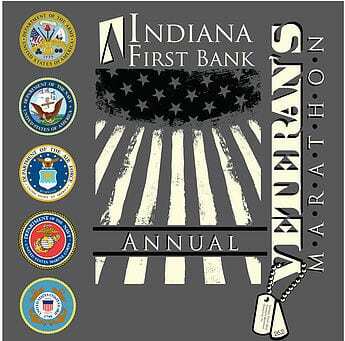 The Indiana First Bank Veteran’s Marathon races will be held on the beautiful Ghost Town Trail, starting and finishing at Saylor Park in Black Lick, Pennsylvania. The 2017 race was the largest to date with over 300 runners in attendance from sixteen different states. Our title sponsor once again this year is Indiana First Bank, Indiana, PA. This event would not be the success that it is without their generous support. Our thanks to Tim Kronenwetter, President and CEO of Indiana First Bank for his personal involvement. Each year, Tim and Sally Kronenwetter spend the entire day at the finish line handling out finisher’s medals and greeting each runner as he or she finishes. 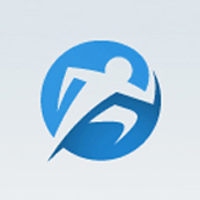 In addition, many business, organizations, and individuals step to serve as Mile Sponsors of the event. Over the past five years, more than $100,000 has been raised to benefit Indiana County veterans. Small hometown run on a packed trail. Friendly volunteers. VERY cold and windy and volunteers stuck it out! Great scenery. Very reasonably priced. Small medal.